Your partner to the core. When you join forces with Atlas Pacific, you don’t just get a global leader in fruit processing solutions with over 70 years of experience and 3,500 machines in over 23 countries. You get a partner that’s here today and here tomorrow. We take pride in helping our customers produce high-quality fruit products at unmatched yields by taking the time to understand your mission, by investing in innovative fruit processing machines, and by offering operational expertise that goes above and beyond. Equipped to serve your needs. 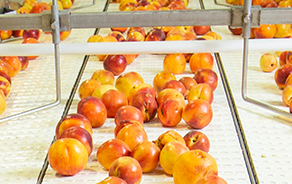 Whether for apples, peaches, pears, apricots or cherries, find a fruit processing machine to improve throughput and yield. Find products by equipment type. We offer slicers, pitters, peelers, de-stemmers and more. 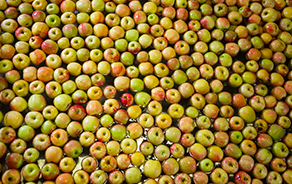 Got questions about one of our fruit processing solutions? Want to start a partnership that yields new opportunity?